At Total Safety Consulting, we have the professionals you need to keep your jobsite safe. Concrete safety managers are just one of the many safety professionals that TSC provides. The NYC DOB requires concrete safety managers on construction sites that need 2,000 cubic yards or more of concrete. Our concrete safety managers will be onsite to monitor all concrete operations on the construction site. They will supervise the concrete placement process to enforce proper safety methods such as when fall protection and PPE are needed. A concrete safety manager will monitor the site ensuring compliance with local building codes and OSHA regulations. They will also communicate with the site safety managers to keep record of the operations and any safety or compliance issues. In addition, our concrete safety managers will keep a log of the concrete operations each day. All concrete safety managers from TSC are fully licensed and registered with the NYC Department of Buildings. They have taken the required concrete safety manager course as well as the 30-hour OSHA construction safety course. If you need a concrete safety manager for your construction site, Total Safety Consulting has got you covered. We also can provide a variety of safety professionals such as site safety managers, fire safety managers, and certified safety professionals. 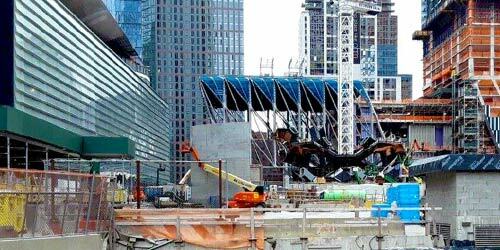 Contact Total Safety Consulting today if you need a concrete safety manager for your New York City construction site.